Sometimes you need to push your available hardware and software a little bit beyond their original specifications. Because AirOS is built on Linux, you actually have a fair bit of flexibility in order to do whatever you like. I had a need to be able to run multiple PPPoE accounts on the same antenna for two reasons. Firstly, when I need to separate VoIP traffic from Data traffic, and secondly when I have two users behind the same antenna. I then use VLANs to route the traffic independently. Now, I do realize that it would be easier to put a Mikrotik or ER downstream from the antenna, but I prefer to use single device solutions where possible. Set up your first PPPoE Client as you would normally, using the web interface. Using PuTTY (or your favourite SSH Client) connect to the device. Using vi (or nano) add the following two lines to /etc/persistent/rc.poststart substituting the correct username and password as required. add the following lines to /var/etc/persistent/options2 once again substituting the username for the correct one. 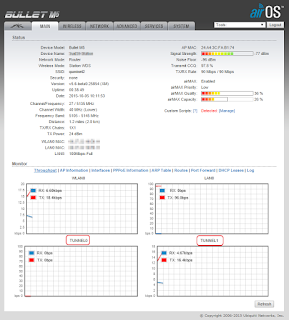 The new PPPoE Connection should now come up on each reboot. Can i get a youtube tutorial for this ? Please ? So from this I can run 2 PPPoE accounts on same device. This means if I have a 2 Mbps connection plan for 1 dial and get another dial 2 Mbps connection, It will load balance to 4 Mbps ? It will allow you to use a single antenna for multiple users but manually routing one source network through the first pppoe and another through the second. Or perhaps you can separate your voice and data network. 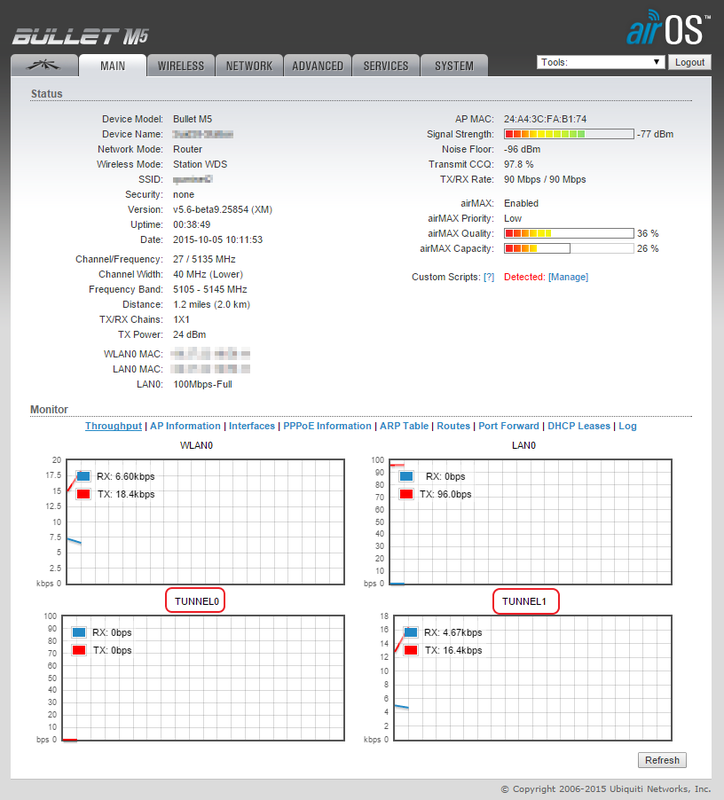 e are aware of the load balance feature that uses the VOIP port as a second WAN but we only have 1 connection coming from ISP over a Rural Wireless link and I cant see any other way to do it other than two PPPoE connection on the smae interface. 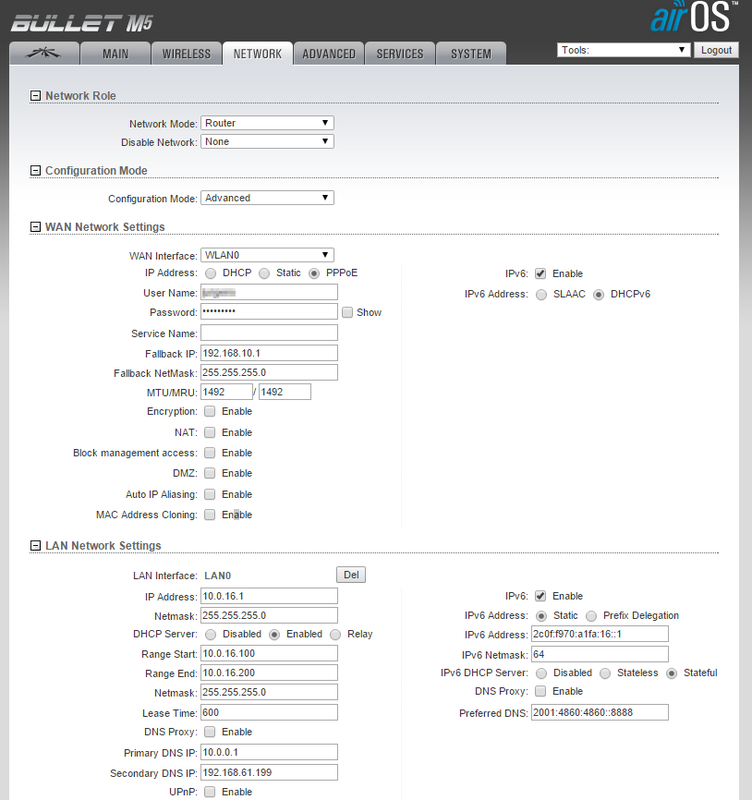 I know Microtek can do this on there routers but was hoping Ubiquiti had an option for this maybe in there Edge range.